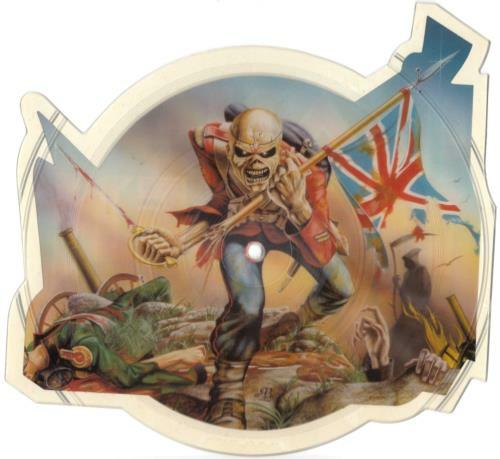 IRON MAIDEN The Trooper (1983 UK limited edition shaped 7" Picture Disc single. 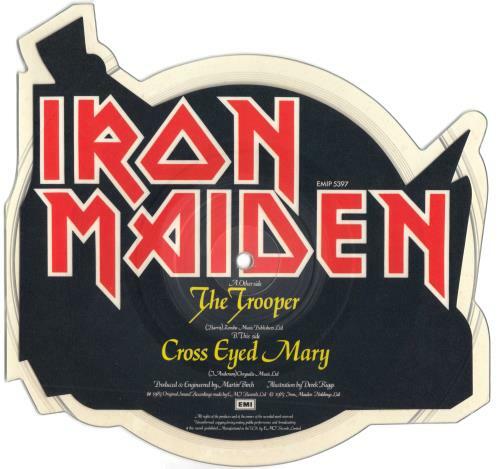 Featuring probably one of the most popular Eddie images created by Derek Riggs, with Eddie wearing an English cavalryman uniform, based on the song lyrics which are about the famous ill-fated charge of the light brigade during the Crimean War in 1854. Also includes a great version of the classic Jethro Tull song Cross Eyed Mary EMIP5397).